220 Central Park South is a luxury residential building towering 69 stories above Central Park. The elite building features an iconic facade consisting of Alabama limestone and metal work, a nod to NYC's historic architecture. 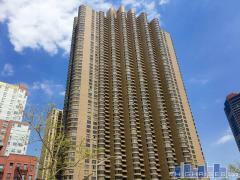 Have any comments or questions about 220 Central Park South? Ask your question and/or share your thoughts about this Building.